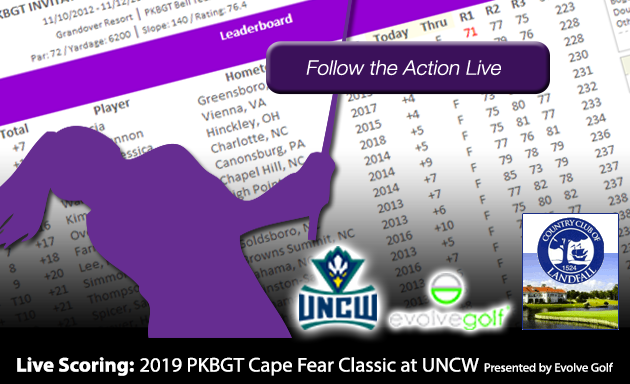 On Saturday, March 23, the Peggy Kirk Bell Girls’ Golf Tour played the first round of the 2019 Cape Fear Classic presented by Evolve Golf at the Country Club of Landfall in Wilmington, NC. Not a cloud graced the baby blue skies in Wilmington, North Carolina on Saturday afternoon. 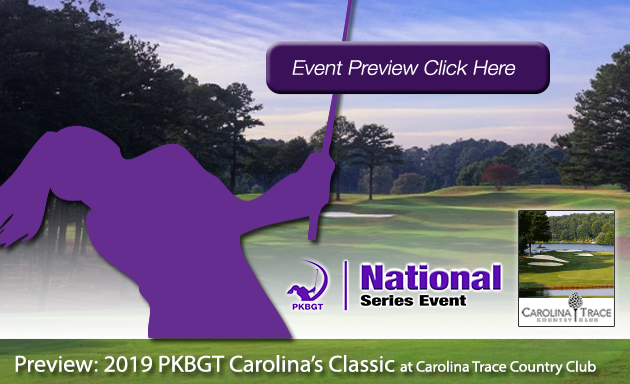 It wasn’t quite the torturous summer heat that typically drives traffic to the beach town but that was a blessing for the field of 52 who took to the Country Club of Landfall for the opening round of the 2019 Cape Fear Classic. Conditions were comfortable at the home course to the UNC Wilmington Women’s Golf team with beams of sunlight highlighted the beautiful layout, even in its very early stages of spring blooming. The crashing ocean waves just a few miles down the road were pushed to the back of the minds for those who traveled to the beach town with one purpose: to compete at a high-level facility. As they approached the starting tent on the first tee at their respective times, players were greeted with a fresh batch of PKB tees. 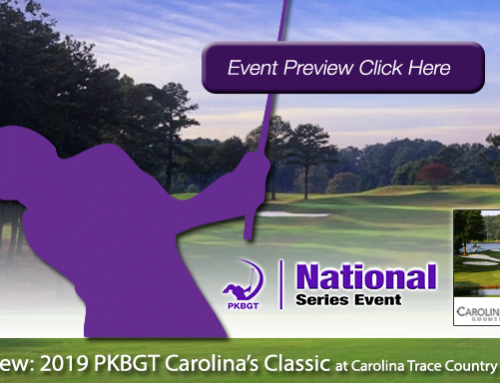 Courtesy of Evolve Golf, the PKBGT’s partner for the event in their hometown, competitors could stash enough tees in their bags to make it through the first round. At the completion of play, two scores of 75 (+3) sat atop the leaderboard in each the Bell National and Futures Nation divisions. 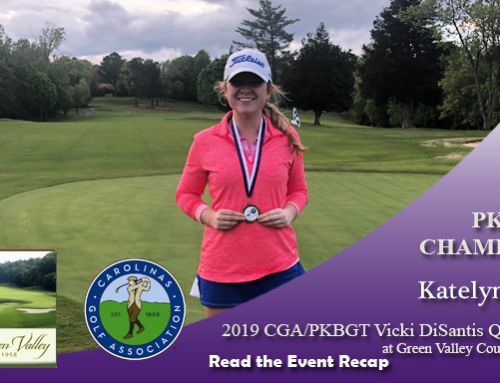 In her much-anticipated return to the PKBGT, Kendall Turner (Chesapeake, VA 2019) after posting one of the aforementioned 75 (+3) rounds on the first day of the tournament. 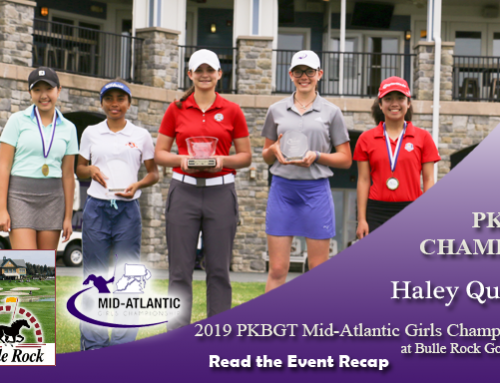 The future James Madison Duke picked up three birdies in her first round back since the PKBGT Invitational in November. Two-strokes behind Turner in a two-way tie for second place, Grayson Warren (Washington, NC 2021) and Lexi Bennett (Santee, SC 2021) each shot scores of 77 (+5) in their first round. 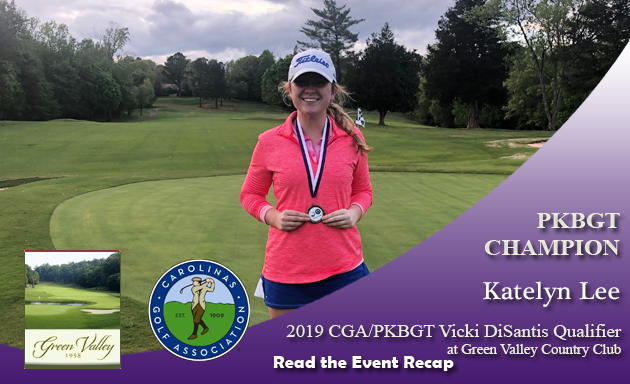 Warren made the turn with a two-under-par 34 on her scorecard, but struggles on the back-nine led her to drop back into second place. Bennett traveled the opposite route, getting off to a rocky start before settling down on the back nine. 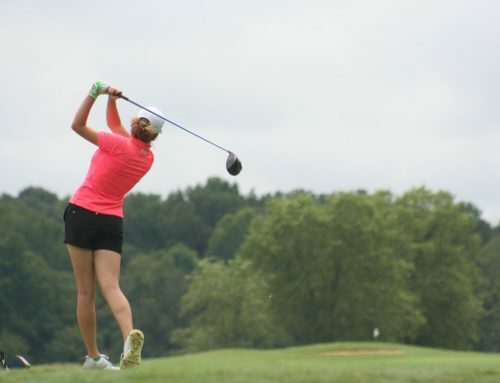 In fourth place with a Saturday score of 79 (+7) is Caroline Crumrine (Wilmington, NC 2020). 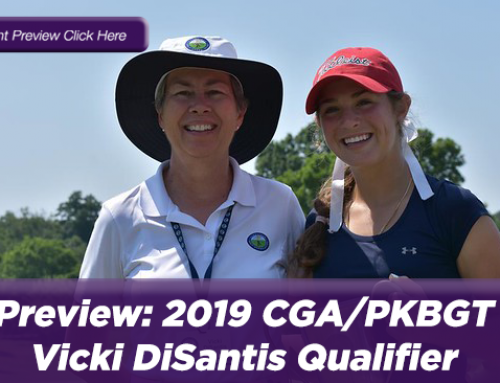 One of several hometown competitors, Crumrine’s first round was relatively consistent and included a run of five straight pars in the midst of her back nine. Rounding out the Top Five in the Bell National division is Kaia Wu (Princeton, NJ 2022). Wu, who traveled over 500 miles to the event, shot an 81 (+9) on the day and is right within striking distance of the top of the leaderboard. Reagan Clifford (Mount Pleasant, SC 2020) is riding off of a strong performance last weekend and kept it going at the Country Club of Landfall. Clifford matched Turner’s 75 (+3) on back nine to remember. She birdied three of her final holes including back-to-back birdies to close out the round. 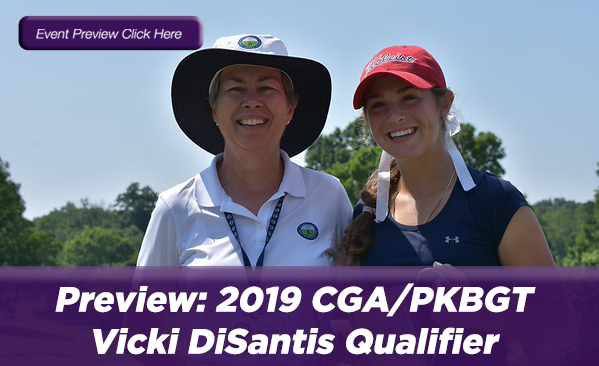 Trailing Clifford by six strokes is Faith Garcia (Suffolk, VA 2023). 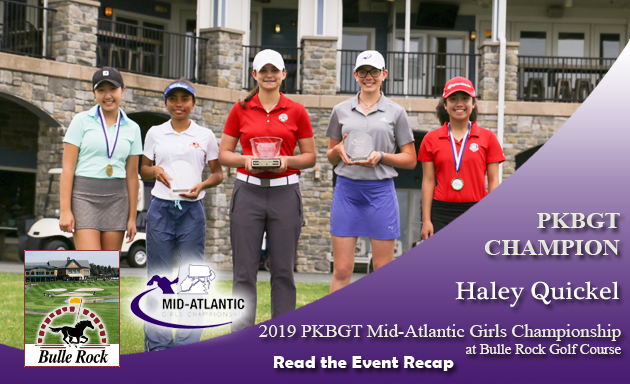 Though Clifford pulled away at the end of her round, Garcia’s first round 81 (+9) put her in position to compete on Sunday in the final round of competition. There is a five-way tie for third place, with each player shooting first-round scores of 82 (+10). Ava Lucas (Raleigh, NC 2021), Emily Wellspeak (New Bern, NC 2020), Elizabeth Rudisill (Charlotte, NC 2025), Amanda Meno (Murrels Inlet, SC 2020) and Katerina Klein (Charleston, SC 2020) were all fighting for the third place spot, no one willing to budge or give in. Movement on the leaderboard is guaranteed come Sunday’s final round. The cluster at third place in the Futures National field will be separated and all of the players hope to make one final push at Clifford’s top spot. In the Bell division, it’s anyone’s contest. Can Tuner hold on for the two-day victory? Will Warren return to her front-nine form for a run at the championship? Check back tomorrow and follow live scoring to stay up to date on everyone’s position on the leaderboard!